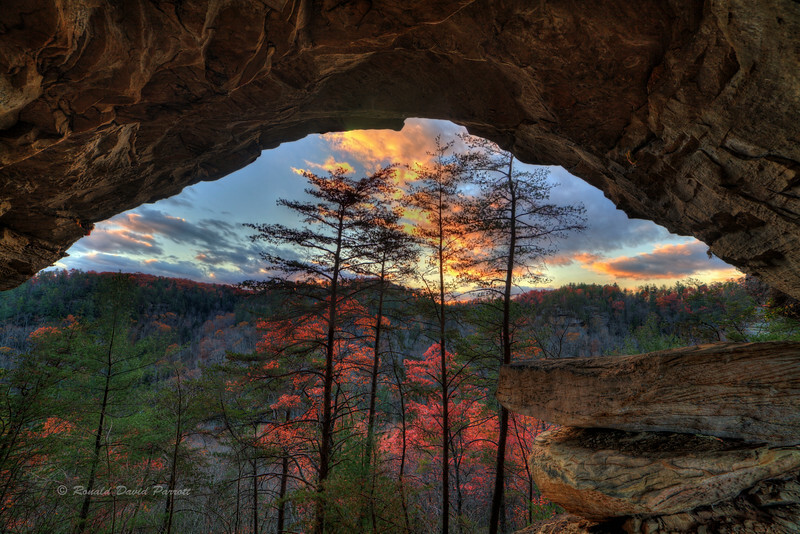 This is a peak through Castle Arch in Red River Gorge. To reach this arch one must first cross a creek and then scramble up a very steep unofficial trail. The view to the west is completely blocked by a huge cliff during the final approach. Eventually light can be seen shining through an opening up ahead. After more perseverance one can finally look through the grand opening of the arch to behold the beauty beyond. There may be a life lesson somewhere in this caption.